Jack Horne 92, of Reiglewood died Thursday, January 31, 2019 at Lower Cape Fear Hospice Center, Whiteville, NC. 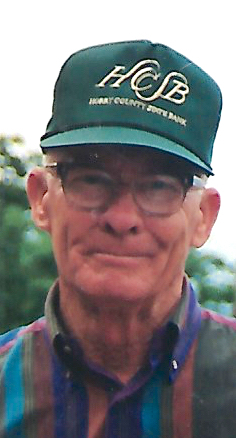 He was born November 15, 1926 in Columbus County, the son of the late Barry and Dallie Hinson Horne. He is survived by his sons, Roger Horne and wife, Sue of Clarkton and Jackie Horne and wife, Jo of Rieglewood; four grandchildren and several great grandchildren; sisters, Eva Woody of Whiteville, Edith Clewis of Miami, FL, and Essel Howe of Normal, IL; brothers, Amos Horne and wife, Sandy of South Carolina, Forrest Horne of Chadbourn; a special nephew, R.C. Horne. He was preceded in death by his wife, Geneva Horne; parents; sister, Ressie Gordon. His funeral service will be conducted at 2:00 pm Monday, February 4, 2019 in Peacock's Chapel. Burial will be in the Whiteville Memorial Cemetery. His family will receive friends 6:00-8:00 pm Sunday, February 3, 2019 at Peacock Funeral Home.